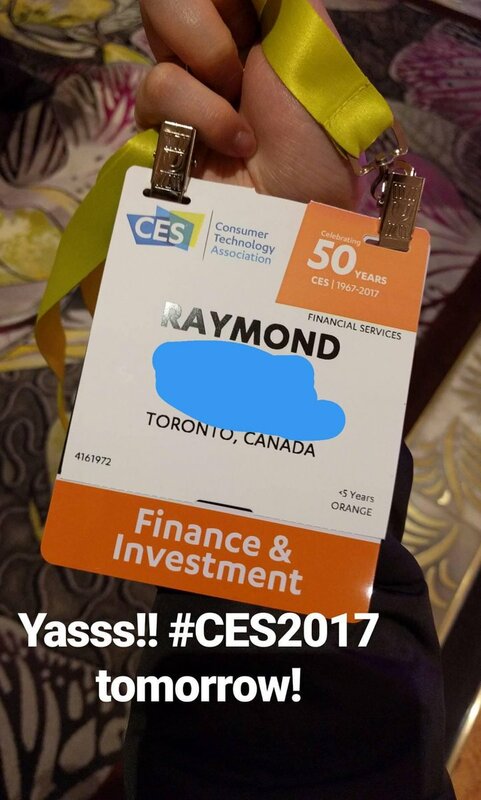 One of the main reasons I went to Vegas early this year was due to CES (Consumer Electronics Show) which happened on January 5-8, 2017. My siblings and I went last year for the first time and it was amazing to see all the latest and greatest in technologies. We were very excited to go again this year! The main location, where most of the biggest electronic companies are, is in Las Vegas Convention Center. We spent 2 days there. Then the next location is the Sands Expo at The Venetion where we spent a day. Though most of the big names are in Las Vegas Convention Center, both venues are actually divided by category. 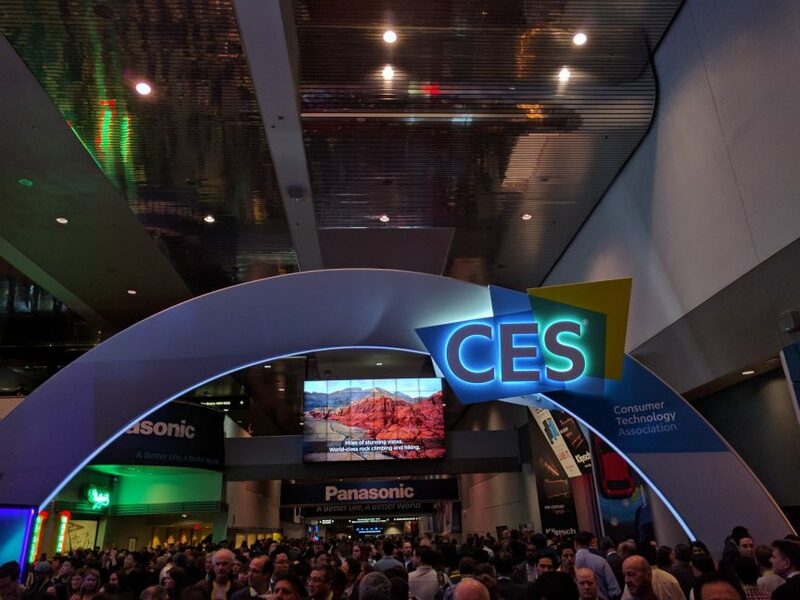 Las Vegas Convention Center hosts technologies in car, TV, phone, cameras, audio, drone and more. The Sands Expo at The Venetian hosts fitness, robotics, beauty, baby and smart home technologies, the Innovation Awards Showcase as well as Eureka Park, which is the specialized exhibit area for startups to launch a new product. To be honest, I didn’t find a big leap in technology from last year and this year. Perhaps the biggest buzz in this year’s CES is Amazon Alexa – everything was geared towards that Alexa integration. Nonetheless, here are my top 12 highlights for CES 2017. Amazon Treasure Truck is exactly as the name suggests: A truck with treasure. The idea is similar to your neighborhood ice cream truck where everyone always awaits its arrival upon hearing its chimes. Treasure Truck is a new way for Amazon customers in Seattle to order and pick up highly desirable, limited-quantity products, food, and more. The truck cruises different neighborhoods daily. For CES, the Treasure Truck was at the CES Central Plaza of the Las Vegas Convention Center the entire four days. Each day, a different treasure was featured and attendees can actually win the treasure for free depending on the rules of the game that day. During the first day, the Treasure was a GoPro and you need to spin a wheel to win it. I didn’t win this one. On the third day, the Treasure was a Smart Flying 18 Mini Drone from Yuneec. What you had to do was throw two bags into a squared “dart board” and you have to land in the center. I was very happy I won this one! Sony showcased its display capabilities in a big way with the new technology, Crystal LED Integrated Structure (CLEDIS). CLEDIS uses Sony’s ultrafine LEDs in a unique surface mounting structure as its light source to deliver a visual experience. I was amazed that it was just one entire big screen (32′ x 9′) with super high definition quality display of 8Kx2K. The clarity and images were stunning. The videos they used to highlight the technology was well-thought out as it captures all types of scenes from colors changing, slow motion dancing, colorful animation and showers of fiery sparks. They also made sure the videos captured audiences’ different interests: cars, nature, dance, animated clip. LG showcased its 4K OLED TV. This new LG Signature 4K OLED W series, where the W stands for wallpaper, is featured with amazing sound from Dolby Atmos. I was really impressed by the demo they had. There’s a walk-in archway theater where the entire walls around the arch was covered with the 4K OLED TV. The video is shown in the TVs as one big screen and the sound quality was just amazing as it uses Dolby Atmos – perfect for the 180 degree TV display they created. American Greetings unveiled a ‘Device Like No Other’ to highlight: In today’s digital world, there are thousands of ways to connect to those you care about, and there’s never been a more meaningful way to connect, than a simple greetings card. This was actually one of my favourite exhibits this year. I didn’t see it last year so it’s also unique in that sense. What I love is that it really did increase my appreciation for greeting cards. I didn’t realize how much work and creative juices are need until I saw the writers and designers in action. Their exhibit is so interactive. You get to choose from a variety of greeting cards and you can write and design it yourself, or you can have a writer think of the message for you and a designer to write the message. I obviously prefer the latter so it’s more special. 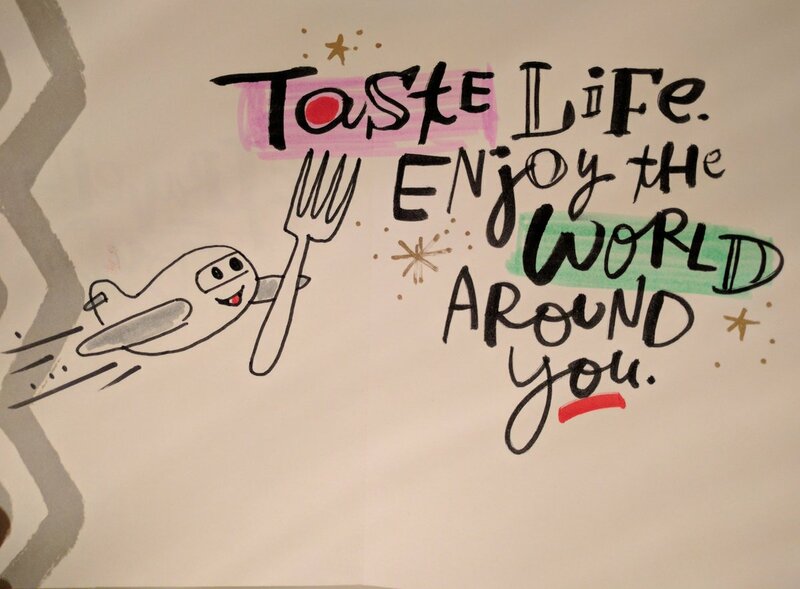 Mike Gold, Senior Lettering Designer at American Greetings, made my custom Travelling Foodie greeting card! The most impressive car presentation for me this year was Toyota’s Concept-i, which Toyota calls Car of the Future. It’s built with the concept that you and the car, an AI interface called Yui, are friends. Yui continually learns and keeps getting smarter, and builds a relationship with you to know your needs and then starts to anticipate them for you. Aside from the neat video that shows us what to expect from Concept-i, the car itself looks so cool and futuristic. I’m glad I’m not the only one who didn’t understand smartwatches. Why have another thing that needs charging everyday? 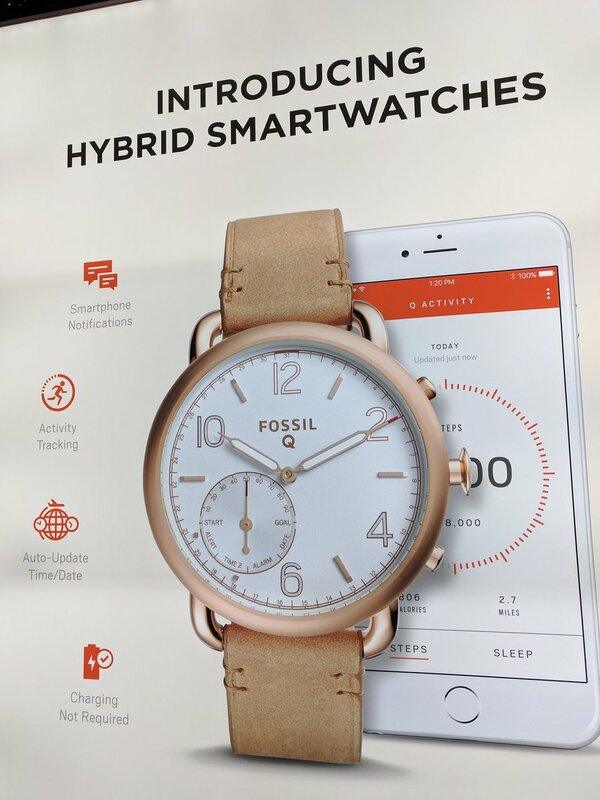 Fossil answers that problem with Hybrid Smartwatches. These hybrid smartwatches look like a watch and acts like a smartwatch. The normal watch feature is completely similar to a regular watch and lasts for up to 6 months. The smart part, which features built-in activity tracking, filtered notifications and more, are the ones that need charging and lasts for about a week. I really liked the Fossil Q Grant Gen 2 Hybrid Smartwatch Black and Smoke-Tone Stainless Steel the most. In terms of smartphone, what got me excited was Huawei’s new Honor 6X Smartphone, which boasts iPhone 7 features with a wallet-friendly price tag. One thing that really got me interested about this phone was its camera as it has DSLR features (Pro Mode) that gives you full control of shutter speed, ISO, exposure compensation, exposure methods, manual focus, and white balance. I know LG G4 had this already but I recall trying the G4 when it came out but the manual controls wasn’t as effective as it should be. This was a highlight for me because I collaborated with them for their Vasa Bla earphones late last year so it was exciting when I came across their booth. 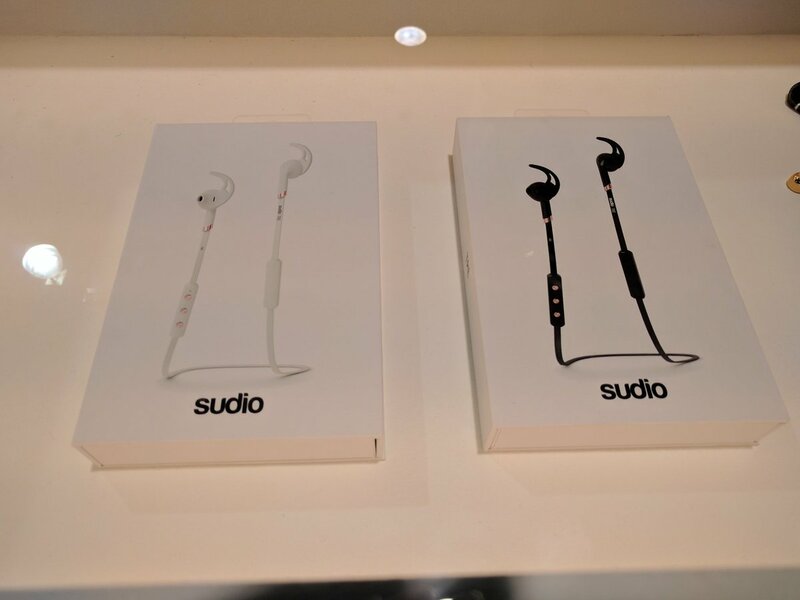 They have a new product coming out in April called Sudio Tre. Unfortunately, they only had boxes for display so I couldn’t try it. It’s more of a sport earphone designed with a bit of shark fin to stay snug in your ear, which should be great when doing high intensity activity. The myCharge booth was amazing! 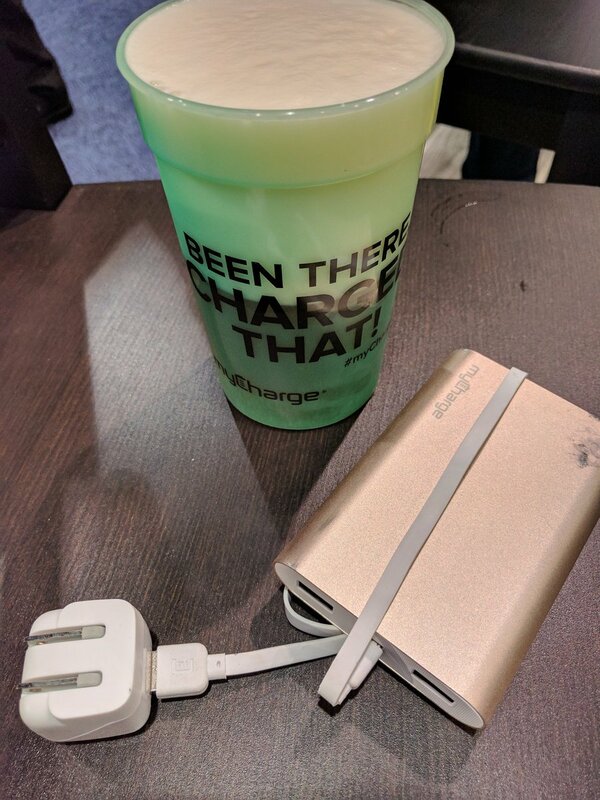 They had a happy hour from 2-5pm in which they were giving away free beer and a myCharge portable charging device. Also, you can recycle your old charging devices and exchange them for myCharge charging devices. I was lucky to have brought some old ones with me which I was using for CES so I got a major upgrade from the exchange. Martian Hybrid Smartwatches is another highlight for me because they are the first to come up with Alexa integration for the watch. We got to see it in action, which you can see in the video above. 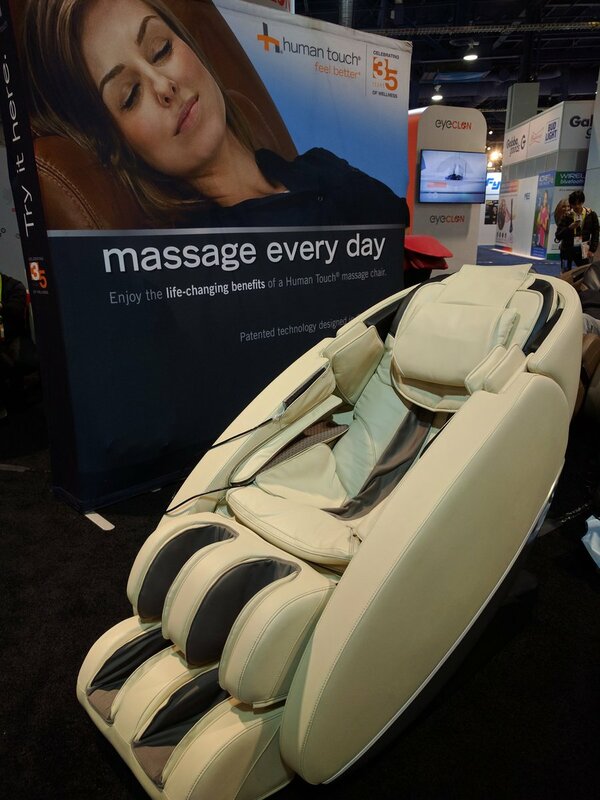 On the last day of CES, there were less people so I finally got to try some of the massage chairs. The Human Touch Ascent Series NovoXT massage chair was just amazing! I didn’t know massage chairs have come a long way in technology. It has many of the same features as the Novo massage chair but will also include the added functionality of Flex 3D Massage Technology, four additional auto-wellness programs, massage intensity adjustment capabilities, and a wall-hugging design perfect for any interior space. This chair massages your entire body except the front. I was impressed it covered the arms, legs and feet as well. Best of all, the massage itself was very good! I always want my massage to be strong, and the strong level here was quite good and still relaxing and enjoyable. I tried another massage chair later on and it wasn’t as good as this one. For the last day, Human Touch had huge discount selling the massage chairs so they wouldn’t have to ship back to their store, but they were only selling them for attendees within USA. 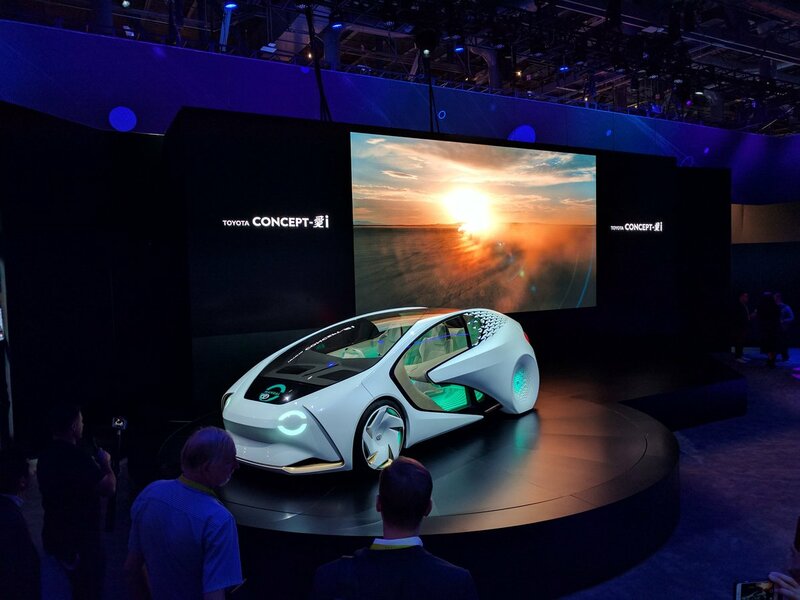 What were your highlights for CES 2017? Posted on February 5, 2017 by Travelling FoodiePosted in Las Vegas, Lifestyle, Nevada, Travel, USATagged events, products, technology.